Phat Le had his whole life planned out: Get an aerospace engineering degree at Embry-Riddle Aeronautical University in Daytona Beach, Florida, complete the Navy Nuclear Propulsion Officer Candidate program, become a Navy nuclear officer. A flat tire changed that. The college junior felt the flat as he was driving back to school from the airport in October 2014, and he called for roadside assistance through his family’s insurance company. He was told a tow truck would arrive in an hour, but a passerby stopped to help Le fix the tire before the truck showed up. The experience made Le think: Could there be an easier way? Le, 20, thought so. Soon, he developed Lyfeboat with his friends Michael Reha and Chad Gardner. Lyfeboat is a roadside assistance app that connects drivers with nearby tow truck operators and local “skippers” — independent contractors trained to change tires, deliver fuel and jump-start vehicles. Le and Reha pitched the initial idea at Startup Weekend, a three-day event the University of West Florida where participants work in teams to develop a product or company and present their ideas to judges. Lyfeboat won. 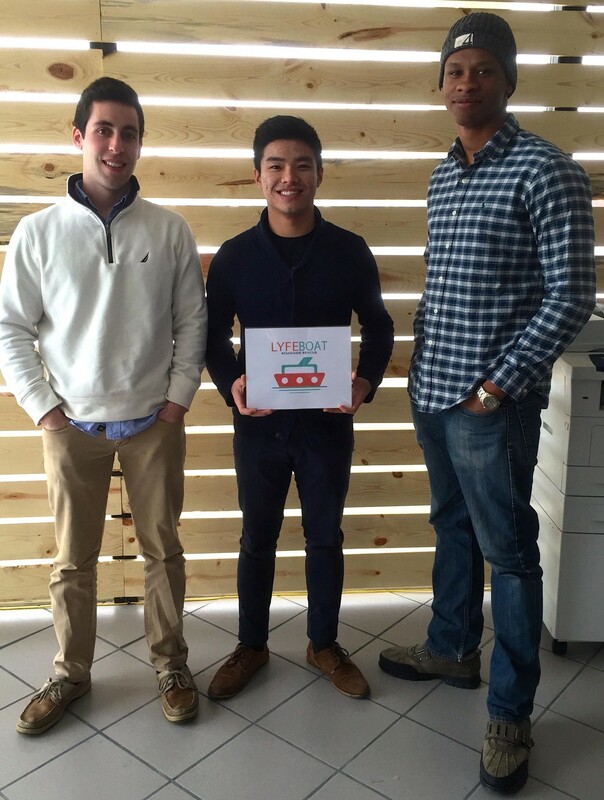 Above: Lyfeboat co-founders, from left, Michael Reha, Phat Le and Chad Gardner. Top: Le, whose flat tire was the company’s inspiration. In the weeks and months following, the company took off, attracting interested investors and leaving Le with a gnawing question: Stay in school, or drop out to pursue the business full time? On one hand, Le was thriving in school, having been accepted to a prestigious Navy scholarship program and holding several leadership positions on campus, including a spot on his fraternity’s executive council. On the other hand, Le quickly began building momentum for the startup. He got invited to the Thiel Foundation Summit in November 2014, where he met other young entrepreneurs who were considering leaving school to develop their businesses. “I was getting more swayed away from the whole school thing,” Le says in a phone interview with NerdWallet. Then he got invited to Founders Space, an accelerator in San Francisco that coincided with his fall semester finals, and to Ocean Accelerator, a six-month accelerator in Cincinnati that would take place during his spring semester. Those opportunities cemented his decision: He left college in late 2014. Leaving college to pursue a business idea can be tempting for students who grew up admiring business leaders such as former Apple co-founder Steve Jobs and Facebook co-founder Mark Zuckerberg, neither of whom finished college. PayPal co-founder Peter Thiel supports that temptation by giving selected students age 20 or younger $100,000 to leave college for two years to pursue a business venture. These moguls may make it look easy, but there are several things to think about before dropping out of college to launch a business. Entrepreneurship and going to college don’t have to be mutually exclusive. 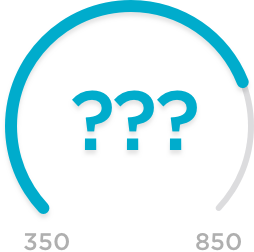 Many campuses have student accelerators that offer mentorship, office space, resources and sometimes funding to help students develop businesses while they earn degrees. For example, Startup Aggieland at Texas A&M University provides student entrepreneurs with advising, free co-working space, website hosting and networking events. Luke Neese, 34, is an undergraduate philosophy major and Startup Aggieland member. He founded Acoustic Shield, a gunshot detection system designed for schools that automatically alerts police when a shot is fired. Neese is grateful for the support his company has received from Texas A&M’s entrepreneurship community, including access to expensive prototyping equipment through the university’s Engineering Innovation Center, free legal counsel through the law school and equity-free seed money from the Startup Aggieland Seed Fund. “I can’t overemphasize how much they have been willing to help us,” Neese tells NerdWallet. Neese is enrolled as an undergraduate for the second time, having left the University of Mary Hardin-Baylor in Belton, Texas, in 2000 to take a job at Dell. At the time, he thought dropping out of college was the right decision because he was able to land a job without a degree. However, he recently returned to college at Texas A&M. “At a certain age, I realized that I wanted the degree for me,” Neese said. Student entrepreneurs should test their idea with real consumers, as any entrepreneur should, before they even consider leaving school to pursue it. Students at Startup Aggieland are required to conduct 100 consumer interviews to see whether their idea holds up outside the college bubble. Petty likens student entrepreneurs to student athletes. Great athletes are naturally inclined to excel in sports, but they can still benefit from coaching and training. Likewise, some people are predisposed to be good entrepreneurs, but they can learn practical business skills, he says. Even if students feel like college isn’t directly preparing them for a future career, it can still teach them valuable life skills including time management, communication, organization and leadership. “A wholesome university environment teaches a lot more than just book or street skills,” Petty says. Le believes leaving college was the right decision, although he found it difficult break the news to his parents. Since then, he’s learned many of the business basics he needs to know — marketing, sales, using Excel, how to incorporate, pitching to investors and the importance of cash flow — at the various accelerators he attended. Lyfeboat has collected a few hundred thousand dollars from investors including Ocean Accelerator, friends and family, and is planning a second round of funding to raise a couple million later this year. An open beta version of Lyfeboat launched April 6 in the Apple App Store. The service is available only in Cincinnati to start, but the team plans to expand to other cities. “At the end of the day, I don’t know if what I did was the right choice, but I know that I’m in a better place now and I will be in a better place in the future because I made this decision,” Le says. Teddy Nykiel is a staff writer covering personal finance for NerdWallet. Follow her on Twitter@teddynykiel and on Google+.